Outstanding Crochet: Stone Maxi skirt. Pattern. I recall somebody was asking me for the pattern. These are not the exact charts, but something close. Exact chart for in - between parts. This one I figured out, something close again. If anybody is interested, I can make a chart. Here is mine. And here. And here you can buy it for $98. Thank you! The skirt is great! Love Love Love this skirt , would love to make it for myself , is there a pattern ? Nettie, there is no pattern for this one, it's a skirt from Boston Proper website. You can use charts above to try to figure out your own. :)) Measure yourself, make a sample, wash, dry, calculate (allow an inch or more on free fit) and start. it's not that hard as it seems. you also can use a skirt you perhaps already have and like for measurements. Good luck! this model is made by some lady who posted the picture in youtube and craftsy, by mariffusa mariffusa. i read she have like a patent, creator right, and don't allow copies. but i don't know if that is expired already. anyway i made one similar, but the applications design is different. This is Boston Proper skirt and has nothing to do with Mariffusa or else. Hi Aman, I think I answered your question in another post. All sections are absolutely straight. You do increase when you start a new one. So every next section down is wider then the previous one. That's a beauty of that kind of skirts. Hi Patricia, thread # 10, hook 1.8 -2 mm. Well, if you google "crochet symbols", images, you'll get all the imaginable symbols with explanations, if that's what you meant. Otherwise, if you can be more specific, I'll help you. Choose a project, I should be able to explain symbols. Hi! None of these questions are silly.I crocheted it in circles, but I turn the opposite direction on every other round (always), because if you don't do that, your work would be twisted to one side. So you do slip stitch at the end of the row, you turn and start another row. First, measure yourself and make a diagram on the paper with measurements of all parts of your skirt. Make a square motif. 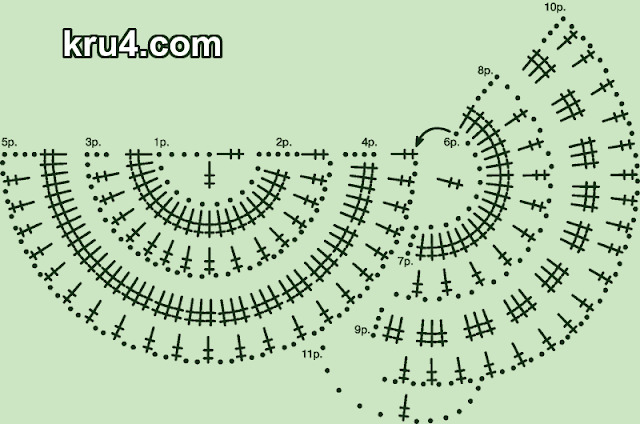 Count how many motifs you would need for upper and lower rows. Make adjustments to meet your measurements. You can use smaller or bigger hook for example, or adjust the pattern. Think about how your pattern will connect to square motifs row (you need about the same number of stitches for every row). Make square motif rows (both). For some reason edit button doesn't work. 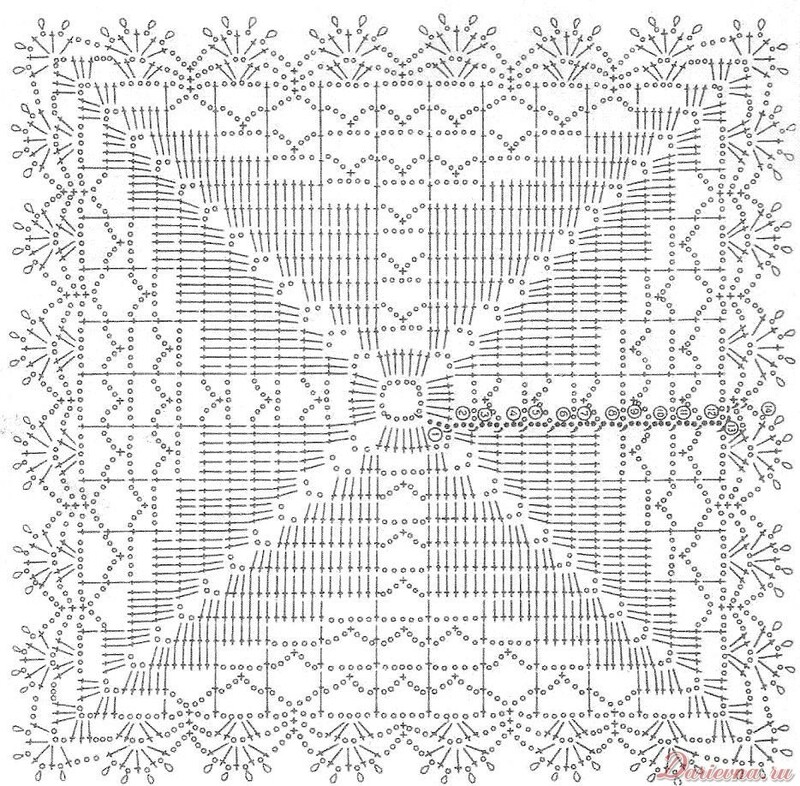 Think about how your pattern will connect to square motifs row (you need about the same number of stitches for every SQUARE). When you are done with square motif rows, crochet upper part starting from first sq.m. row and going up. Then, starting from another edge of that sq.m. row , crochet down part until you have to connect it with second square motifs row. Connect, start the last part from another edge of second sq.m. row. Natalia, THANK YOU so much for your reply...you are very generous with your advise and help. I really appreciate it. You are welcome. Any time. Hi Natalia, nice to meet you! Thank you so much for your generous help and advice! :) It's an incentive to improve your skills! the lady who sells them through Boston proper used thin mercerized yarn. is easier to make this skirt because is a little thicker than thread #10. i made it in that thread before i found what she used, and it took me almost 1 year to figure out the squares, since i made a different but similar design, and how to join them. i also made the bottom different, so it would not be exact, due to the pattern property right claim she have. Something about 600 g, or 1lb, 4 oz. I know you are probably SO OVER hearing us droolers asking you about this pattern.-smiling- It truly is an exquisite piece. I am actually going to attempt it. I LOVE your suggestion of making a swatch and washing it, drying it and measuring the difference to see what you need to do regarding measuring. THANKS. If you get bored and find out anymore ways to make this pattern let us know meanwhile I'm printing your stuff now to start. Hi Patrice! I could make a pattern, but it would be against Copyright law. It's not my pattern. :)) I have to look for the square. I don't even remember where my chart is. I am afraid that 's it on this one. you inspired me! I ripped off my skirt yesterday. I made it to tight, kind of straight before and going to redo it. That means they don't sell it anymore. There is nothing I can do, unfortunately. I drool over many of the pictures you show. This one has been in my Pinterest account for a year. I have never truly worked off of charts, but for this skirt I am willing. I want to thank you for responding to comments. Following the comments on this thread alone I learned that I should wash my motif square to see how it sizes up, I would never have known that, I have gained confidence from your encouragement of others and a desire to push the limits to beautiful. So, once again thank you. Thank you, Marla! I actually found out that when you wash a swatch, it shrinks a bit, then when you wear a ready garment for a while, it stretches, but it all different with different yarn, so it's a guess game, you never know. The trick is to Crochet tight, it's more stable. :))) I know some people block on a board, I block with an iron on steam mode. 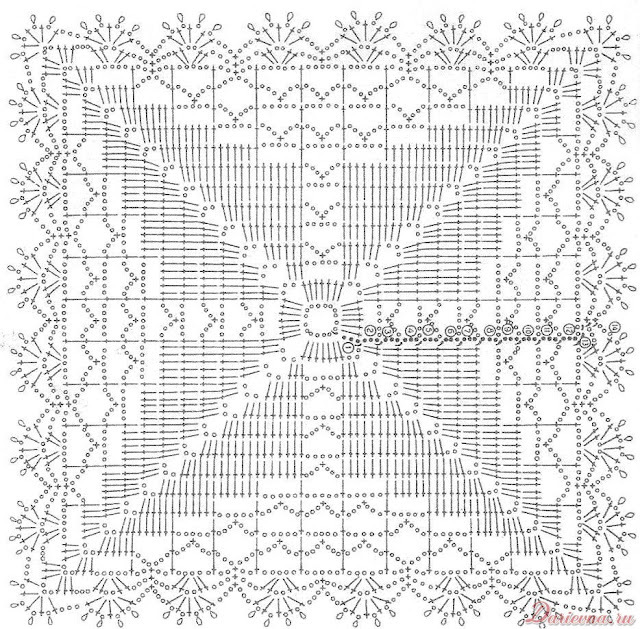 Do you block the square motifs before you crochet them together and start the skirt? I did not block them, but I think it's a good idea, it's always more pleasant to work with blocked pieces. Parabens pela sua pagina. Gosto muito! Estou tentando fazer esta saia! Just wondering, is pic no. 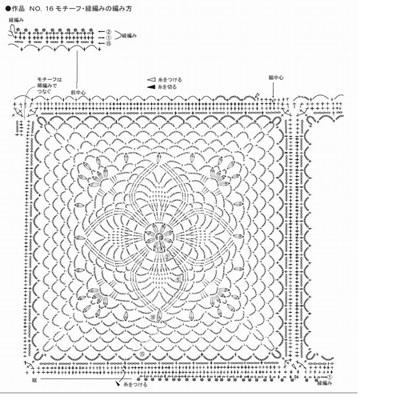 5 the chart used for the final image (crochet square)? Well, thus is ready to wear skirt, so who knows, but something close enough.